Denny Diamond, one of the premieres Neil Diamond Tribute Artists in the world! Previously purchased tickets will be honored night of the performance. 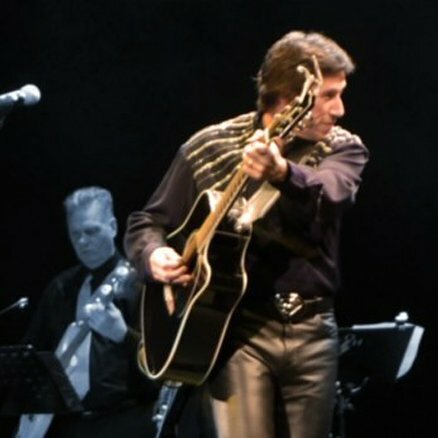 Emerging from the elite Chicago music scene in Illinois, Award-Winning Neil Diamond tribute artist Denny Diamond began hitting the ground running in the music realm in 1999, and since that time has manifested into one of the most versatile and multifaceted tribute acts to hit the stage. Projecting his own signature stylization to a very familiar sound, Denny Diamond’s baritone vocal approach and reminiscence of Neil himself has been a grandstanding presence around the country and one of the most sought after acts since he started gracing venues & events nation-wide over the last 20 years. Comprised as a one-man show, he performed an exceptional high-attendance 89-city US Tour, “Neil Diamond Story”, in 2015 and 2016, and garnered critical acclaim and positive reception throughout every city the tour was booked.